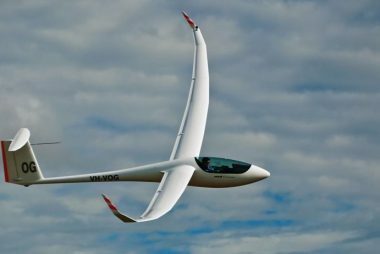 Home / Gliding FAQ / How much does a glider cost? It’s a bit like boats! Gliders can be surprisingly cheap, especially if it’s an older classic glider. Possibly about the same as a 1970’s 20ft sailing boat. And at the other extreme you are looking at the same sort of money as a very nice modern 40ft yacht! 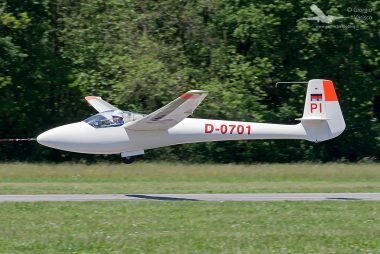 Gliders like the club’s Ka6 are popular and are lovely to fly with respectable performance. In their heyday they were state of the art and breaking records. Around £5000 will get a nice one and when you move on you’ll get your money back. Then there are the early glass fibre gliders. There are loads flying and in good condition. For one of these you could end up paying between £8,000 and £13,000. Above this you’ll find examples of the many second generation glass fibre designs. These could be from £15,000 to £25,000, although a few special and super-popular ones go for a few £K more. Beyond that will be the next generation of gliders. These are pretty much the designs that are produced today. Perhaps with some relatively small improvements. There is a big range here. Some will be equipped with engines to self-launch others might have a smaller ’get you home’ auxiliary engine. And then we have brand new gliders. State of the art single seaters, with trailer and perhaps a sustainer engine are in the £120,000 to £160,000 bracket. High performance two-seater gliders can be close to double this! 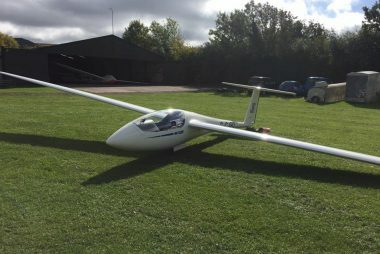 But most people you will meet at a gliding club that have their own gliders, or share a glider with a hand full of syndicate partners, will have gliders worth between £10,000 and £30,000. They hardly depreciate, so between a few people the actual money involved, while not an investment, a glider is a better place to put any spare cash than into a new car or kitchen!!!! !